As much as I grew on Cannon films as a kid in the 80's, and as much as Chuck Norris was a big idol of mine from then and into adulthood, something about this particular film never appealed to me. Of all of Chuck's films that I watched regularly as a teenager in the 80's and 90's, this was not one of them. The fact that I've actually seen it before, yet remember virtually nothing about it was a bit worrisome as I decided to revisit this recently once I saw Hulu Plus added this, along with it's sequel, to their new September lineup. So let's dig in. 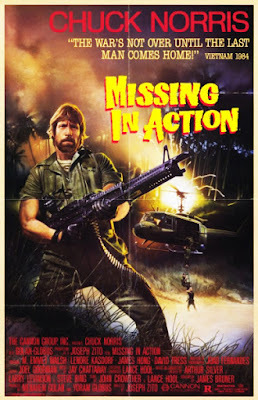 Missing in Action is a great little film, and after having finally revisited it, I can understand why it wasn't one that stuck out in my head. More than anything, Cannon Films has been synonymous with low-budget cheese, whether it was intentional or not. I mean, how can you watch Hercules and NOT find it intentional? And then there are other great examples such as Over the Top, where the cheese-factor was 1000% NOT intentional, yet it was so in such a glorious way. But Missing in Action is anything but cheesy. In fact, it's a damn fine film all around, the result of some solid work from a lot of different areas. This was the beginning of a long line of films between Chuck and Cannon throughout the 80's and 90's, and I can see why this has always been a standout in his filmography. It's pretty damn good with a lot of that going to director Joseph Zito, who he would re-team with later for the best, cheesiest, most ridiculous Chuck Norris film of all time, Invasion USA. Zito possesses a strong sense of direction behind the camera, and the film is a true testament to that. It's not overly stylish, yet he does such a fantastic job putting scenes and sequences together in a very evenhanded way. You could never pick out a Joseph Zito film just by looking at it if you didn't already know he directed it, but he does a much better job than most would have with the same material. You'll never see a lazy handheld camera shot, or any type of silly quick editing gimmicks to enhance or mask anything. It's just simple old school filmmaking done right, and if there's anything Missing in Action does, it's reaffirms my belief that simple is sometimes better than flashy. I noticed some other aspects about this film that made it all the better. For starters, it's not a big film. There are a few impressive action sequencers for sure, but if you really pay attention, there's no more than a handful or so of actors in each scene, even the big moments where Chuck is infiltrating a Vietnamese prisoner camp to rescue American POW's. But unless you really focus on that, you wouldn't even notice. And that's the power of some really fine editing. There was another moment around the same time in the film when a hut explodes into a huge ball of fire. Arguably the best explosion in the film, followed by a series of 4 or 5 other big explosions. But again, if you pay close attention, it's the same explosion, just from different angles using different camera's. And that's not me nitpicking, rather it's my obsessive compulsive way of making a strong point. That with some strong editing, even a small budget film can look big. Film editors Joel Goodman and Daniel Loewenthal knew this well and do it gloriously here. Kudos to you two. Another component that really adds a touch of bravada and class is the score. Normally a score for a low-budget action film about rescuing POW's in Vietnam starring Chuck Norris wouldn't be a standout, but in this case it was. 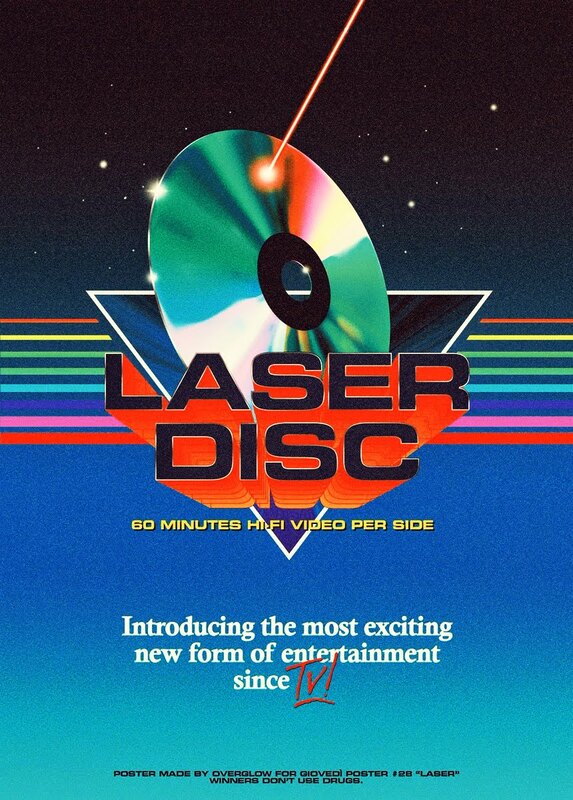 While I do love a good film score, and often track them down on vinyl if they're in the "synth" realm, there was really something about this one that caught my attention. Legendary B-Movie composer Jay Chattaway, who's done a lot of Star Trek shows in his later career, but really got his name in the game with the Maniac Cop score, which is now iconic. Chattaway's score here is big, and loud, and adds so much depth to the film overall. Usually these score's are pretty standard throwaway and interchangeable, but this one stands out and makes the film better, and feel bigger. Zito made this the same year he made Friday the 13th Part 4: The Final Chapter, a personal favorite of mine in the series. He would go on to work with Norris again in the 80's classic (and my personal favorite Norris film) Invasion USA, and follow that up with the excellent Red Scorpion. Sadly, he only made 9 films, with his last being 2003's Power Play, a film that was savagely destroyed by critics and fans of this once legendary film director. It's a pity, because he was a strong and talented director. Sure his last 2 films were bad, but what director doesn't occasionally make a bad film? I feel we could easily have gotten some more great action films from him had he been given the chance. I guess we'll never truly know though.